Through this video feature, I look at five different cities featured in Hindi film songs of yesteryear. Let’s start with one of the most iconic songs of Hindi cinema, dedicated to what else, Bombay, the financial capital of India and the center of the Hindi film industry. Now called Mumbai, the metropolis is known as the city of dreams and opportunities. Welcoming migrants in large numbers from all over India on a daily basis, Mumbai is India’s most cosmopolitan and most vibrant city – the city forever on the move and one that never sleeps. Here is composer OP Nayyar’s nod to Bombay even as lyricist Majrooh Sultanpuri and singer Mohammed Rafi, crooning for comedian Johnny Walker, point out some harsh realities of having to live in Mumbai, while Kum Kum and her voice, Geeta Dutt, berate him for being so naive. Oh by the way, I’m sure the resemblance of the composition to My Darling Clementine is purely coincidental! 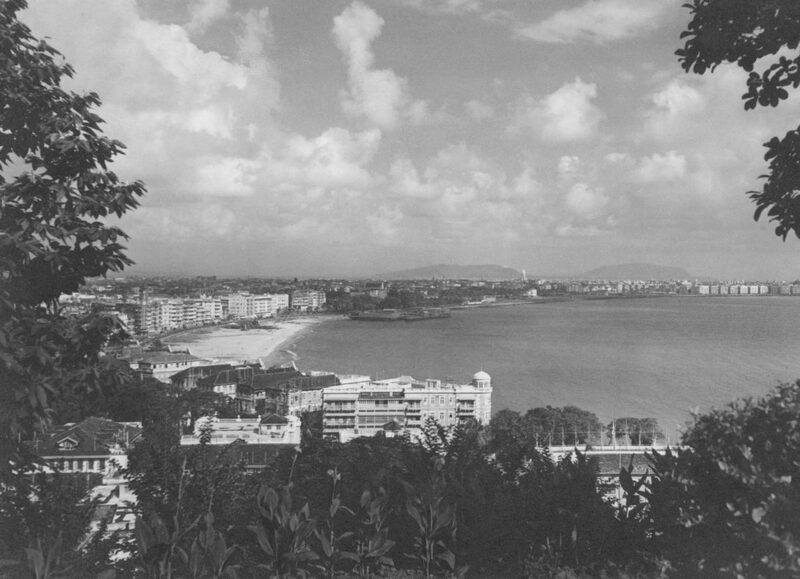 With the phenomenal success of Ae Dil Hai Mushkil, which found its way to the top spot at the Binaca Geet Mala at the end of the year (1956), OP Nayyar turned his attention to the ‘City of Joy’ or as some would say – India’s cultural capital, Calcutta, now Kolkata, in Shakti Samanta’s exciting thriller, Howrah Bridge, starring Ashok Kumar and Madhubala. However, this time, the Qamar Jalalabadi written song composed as a typical Nayyar song filmed on comic actor Om Prakash helming a tonga, did not prove to be quite as successful. A fine enough song in its own right, the lightweight lyrics, however, lack the edge of Majrooh Saab’s sharp observations of Bombay. What’s more, the song, though rendered perfectly by Mohammed Rafi, got lost among the other chart busters in the film like Mera Naam Chin Chin Choo and Aaiye Mehrbaan. Still, the song boasts of some extremely well-filmed shots on location, giving us a wistful and nostalgic glimpse of this great city. To recover the massive losses occurred by the disastrous box office showing of Kaagaz Ke Phool (1959), Guru Dutt produced a Muslim Social set in the heart of Muslim culture, Lucknow. 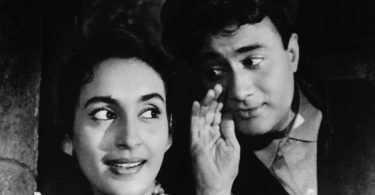 The film, a beautiful love triangle, is set in the land of Awadhi culture, nawabs, poetry and romance, and proved to be Guru Dutt’s biggest ever commercial hit. This tribute to Lucknow, written by Shakeel Badayuni and composed by Ravi, comes over the film’s opening credits as it sets up the film’s main story while extolling the virtues of Lucknow. And yes, another city gets immortalized in song through the voice of Mohammed Rafi. Lucknow is saluted once again in the opening titles of a film, this time as Ae Shehar-e-Lucknow in Palki (1967), starring Rajendra Kumar and Waheeda Rehman, and co-directed by SU Sunny and Mahesh Kaul. 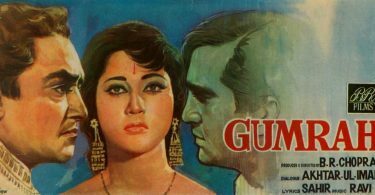 The film’s title leaves us with no doubt as to where this thriller, starring Shammi Kapoor, Padmini and Shashikala, is set. Director Shakti Samanta steps out of the country and doffs his hat to this global, finance and transport hub not once but twice in the film. First, we have a tour of the city at night seen via Shammi Kapoor and the beautiful women of Singapore. Rafi, though normally Kapoor’s voice, misses out on this one as it is left to Mukesh to warble Shankar-Jaikishan’s composition to tell us about the high points of Singapore. And then we have Malay actress Maria Menado, declared Malaysia’s most beautiful woman at the time, who entices Shammi Kapoor, through Lata Mangeshkar’s vocals, to see what happens if he were to come and lose his heart to her in Singapore. Singapore is also mentioned in the films Hong Kong (1962) and Saazish (1988) through the songs Hong Kong China Meena Singapore and Yeh Shehar Bada Mashoor respectively. Finally, when we talk of love, can the romantic capital of the world be omitted? Most certainly not as Shakti Samanta, Shammi Kapoor and Mohammed Rafi (yes, them again) combine through Shankar-Jaikishan’s lovely ditty that shows us the beauty of an evening in Paris. The French beauties accompanying Kapoor through the song help greatly! Couldn’t resist the bonus. So, we have Joy Mukerji and Asha Parekh showing us how to fall in love in Japan’s capital city in Love in Tokyo (1966). Header Photograph: Photo of Bombay in the 1940s by Ellis R Dungan. Photo courtesy West Virgina State Archives, USA. Thank you and yes, an astute observation about Mohammed Rafi being the voice of the city!